0 Comments Published by KL Ocs Kid on Wednesday, August 15, 2007 at 9:39 AM. A tired team is often a losing team. Liverpool manager Rafa Benitez insists he will continue to rotate his squad this season. The Anfield boss has received criticism from some quarters for his policy of shuffling his Liverpool squad, but Benitez is undeterred. The Reds face Toulouse in the third qualifying round of the UEFA Champions League on Wednesday and Peter Crouch, Yossi Benayoun and Javier Mascherano are expected to play. The trio were left out of the squad which travelled to Aston Villa on Saturday for Liverpool's Premier League opener, but they are likely to feature in France as Benitez continues to ring the changes. Crouch, especially, has been rumoured to be unhappy at his limited first-team opportunities, but Benitez has reiterated that no player is guaranteed a regular place in his starting XI. 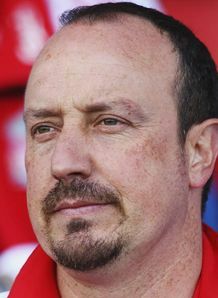 "In modern football you have to change players," Benitez told the Daily Star. "It's not easy to keep the same team. "I know a lot of people would like to see the same XI every week but it's impossible. "If players are performing well and we are winning games in a row then we will try to keep them in the team. "But how many teams in the Premier League can keep the same XI every week? You look at it and it is usually the teams that are outside the top eight. "Why? Because they only play one game a week normally. "We hope to play 60 games a season and you can't play the same people every week. "A tired team is often a losing team."